Asia-Rice is the work of an ad hoc team of stakeholders with an interest in the development of an Asian Rice Crop Estimation & Monitoring (Asia-RiCE) component for the GEO Global Agricultural Monitoring (GEOGLAM) initiative. 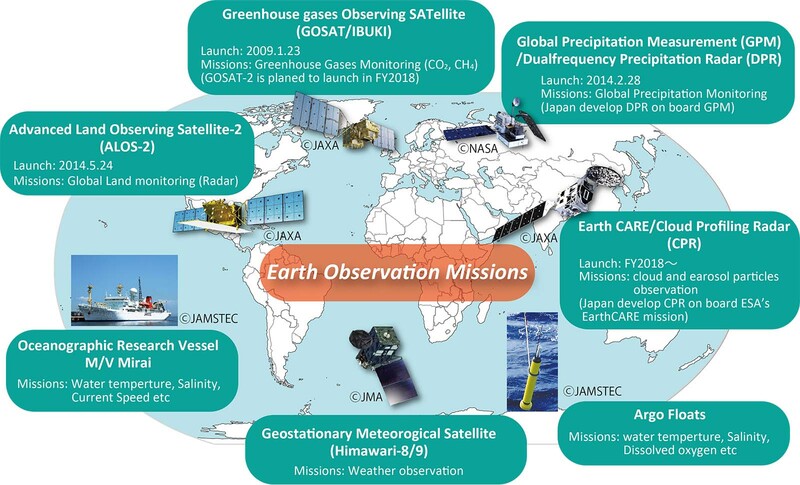 EO4SDG organizes and realizes the potential of Earth observations to advance the UN 2030 Agenda and enable societal benefits through achievement of the SDGs. GEO BON is an initiative aimed at improving the availability of biodiversity change data to decision makers and scientists in support of policy. 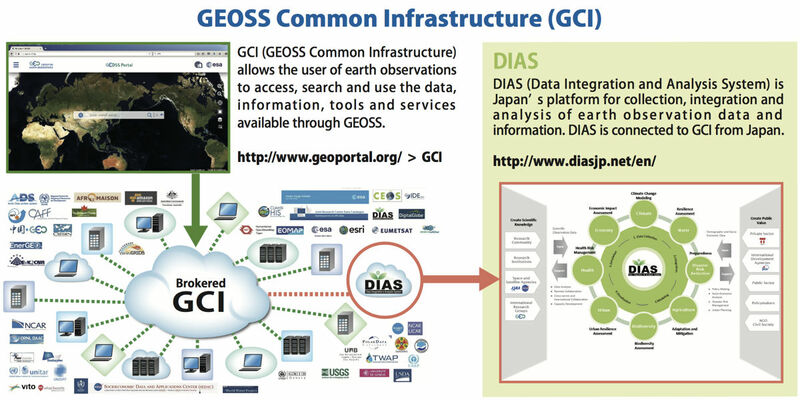 The work of the GEO Carbon and GHG Initiative is motivated by the long-term vision of a data-driven system to provide comprehensive knowledge on changes in the global carbon cycle and GHG emissions as a result of human activities and global change, and to support decision makers with timely policy-relevant information. GFOI seeks to further foster forest monitoring and assessment that is robust, reliable, and achievable at reasonable cost and supports planning for national development priorities including, climate change mitigation and adaptation. J-BON is a network of researchers, NGOs and policymakers which coordinates various research activities, observation networks, and databases on ecosystems and biodiversity in order to enhance biodiversity observation activities in Japan. J-BON collaborates with AP-BON and GEO BON to contribute to the global biodiversity observation activities. “Oceans and Society: Blue Planet” is an Initiative within the Group on Earth Observations (GEO) that aims to ensure the sustained development and use of ocean and coastal observations for the benefit of society.